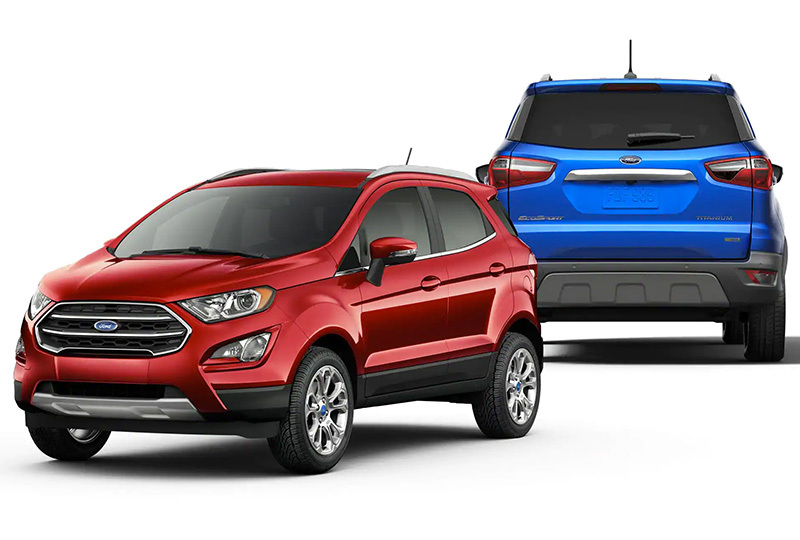 The 2019 Ford EcoSport for sale at Lake Keowee Ford in Seneca, SC - close to Greenville, Anderson, Easley, Clemson, and Pickens, SC, and Lavonia, GA - is a versatile compact SUV that's perfect for daily driving. No matter if you have a large load of groceries or need to pack for a weekend adventure, there's plenty of storage room on board. 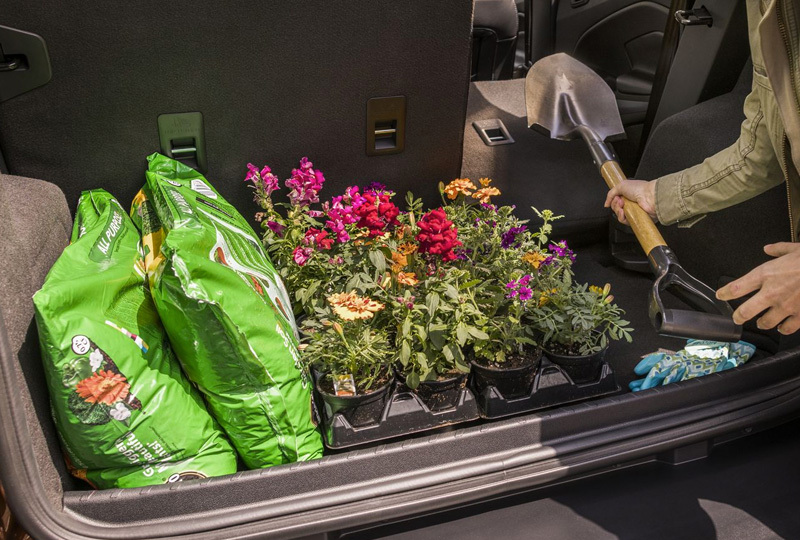 Open up the rear hatch swing door to find a cargo management system with adjustable shelf, four cargo floor tie downs, and an available cargo area protector. Whether you want to include friends or gear, the 60/40-flip up and split fold-flat rear seat backs provide a variety of configurations to suit your needs. All of this is powered by a 1.0L EcoBoost® engine with auto Start-Stop technology and a standard 6-speed SelectShift® automatic transmission. They give you 27 mpg in the city and 29 mpg on the highway,1 so you can get to your destination faster and spend less time stopping at the gas station. An optional Intelligent 4WD system comes in handy if your journeys take you to bumpy road conditions or into less than perfect weather. When the going does get rough, you'll stay comfortable on cloth-trimmed seating while using an available leather-wrapped steering wheel. 1. EPA estimated. Actual mileage will vary. 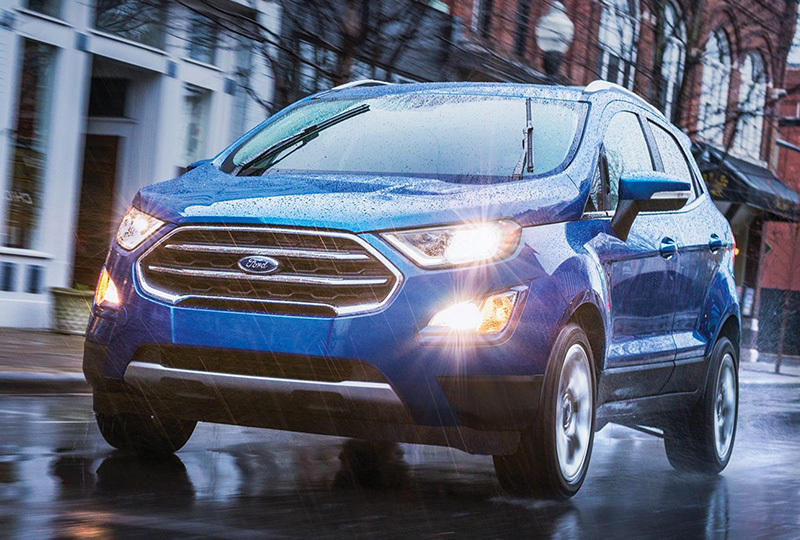 Make a statement with the 2019 EcoSport. Whether you're spending a night on the town, heading to the mountains or simply running errands, you'll do it in style. But since looks aren't everything, EcoSport offers an array of interior features that make this an exceptionally comfortable ride. Highlights include available leather-trimmed seats, available SYNC® 3 and FordPass Connect™ with 4G LTE Wi-Fi hotspot.2 It all comes together to keep you and your passengers comfortable and connected on the road. 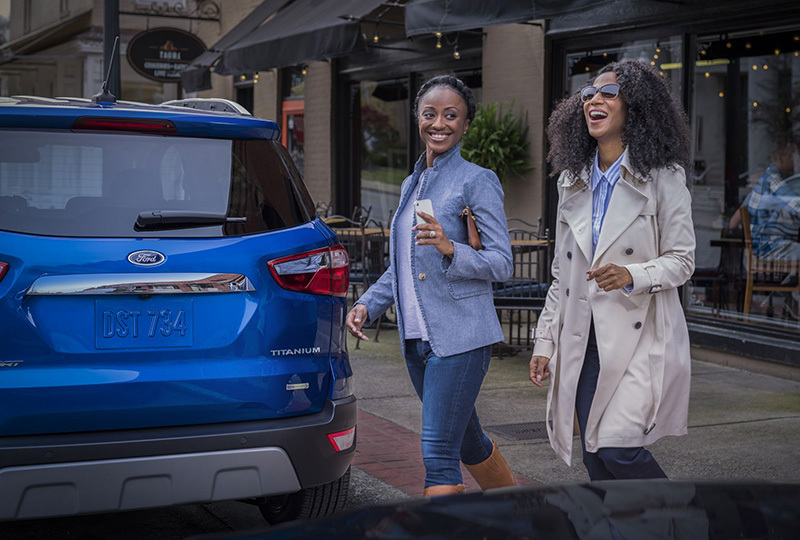 Whether you're stepping out alone or with friends, 2019 EcoSport offers a host of smart amenities to make the most of every ride. By syncing your smartphone to the available SYNC® 3 Applink with Ford+Alexa app,3 you can blast your favorite playlist from the 10-speaker B&O Sound System by Bang & Olufsen. And with available features like FordPass Connect™ , you can go from house to car to venue without skipping a beat. Pull into your pre-paid parking4 and lock your car via the FordPass™ app,5 on your way inside. 2. FordPass Connect includes a 1-year subscription for remote features excluding Wi-Fi hotspot, starting with the vehicle sale date (after which, fees apply). Subscription is subject to compatible 4G LTE network availability. Evolving technology/cellular networks may affect future functionality. Certain restrictions, 3rd-party terms, and/or message/data rates may apply. Wi-Fi hotspot includes complimentary wireless data trial that begins upon AT&T activation and expires at the end of 3 months or when 3GB of data is used, whichever comes first, but cannot extend beyond the complimentary subscription period for remote features. To activate, go to www.att.com/ford . 3. Don't drive while distracted or while using handheld devices. Use voice controls. Certain Alexa functionality is dependent on smartphone and home technology. 4. FordPass Park available in select cities. 5. FordPass, compatible with select smartphone platforms, is available via a download. Message and data rates may apply. SYNC® Connect, an optional feature on select 2017 model year vehicles, is required for certain features.